Bobbin lace along with embroidery was brought to the Kanyakumari region by Christian missionaries from Belgium and England. In Christian families, the younger women inherit this skill from their mothers and grandmothers. 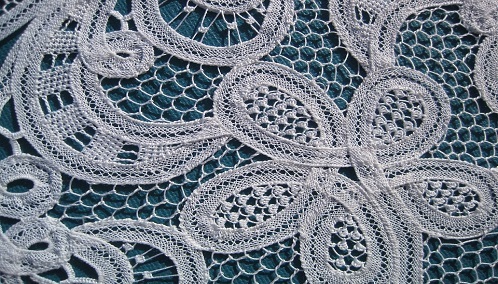 Bobbin lace, known also as pillow or pin lace, is inextricably linked to Christian festivities. 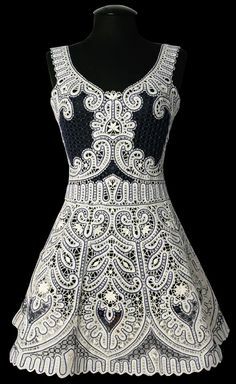 Occasions such as baptisms and weddings call for the display of intricate lace work. Lace kerchiefs may be folded and placed on the top pocket of the groom’s suit or used as napkins to carry the baby during the baptism ceremony. Bobbin lace is woven in pairs of threads that are wound on bobbins. The pillows must be firm, or otherwise the pins will wobble. The pillows were traditionally stuffed with straw, but nowadays polystyrene (styrofoam) is generally used, The major tools to make bobbin lace are a pillow, bobbins, pins and prickings. The part laces also require a crochet hook, very fine types of lace require very fine hooks. There are different types of pillows and bobbins linked to areas, eras and type of lace.